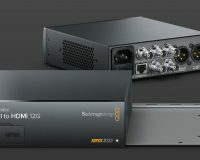 FOR-A’s frame synchronizers have always exhibited superior performance when processing poor quality video signals. Frame, Line, and AVDL synchronizer modes are available. Every mode allows both H and V ancillary data to be passed through*. Different input/output formats may limit the number of packets that can pass through. 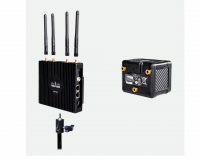 Aligns the output with a genlock signal and can be used whether or not the genlock signal and video input signal are synchronized. Locks the output to a genlock signal within a range of ± 1/2 lines and can be used only when the video input and genlock signals are synchronized. 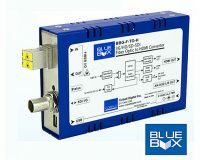 Locks the output to a genlock signal with a constant time offset of 5H in HD and 1H in SD. The feature can only be used when the video input and genlock signals are synchronized. Outputs the input signal with minimum delay. It can be used only when the video input and genlock signals are synchronized. Allows video, chroma and black levels and HUE to be adjusted. Individual channels are also able to be adjusted and to control multiple channels collectively via channel link. A split view function allows pre- and post-correction results to be examined. FOR-A’s color corrector, with its proven track record in the broadcasting industry, comes standard on each channel. 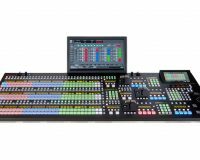 Three available color correction modes can be freely used on the ten input channels, with color adjustment performed alone or in groups. It is even possible to link channels while maintaining differences between parameters. Each parameter comes with a Unity button, a familiar FOR-A color correction feature that allows parameters to be restored to their default state with the push of a button. A split view function allows pre- and post-correction results to be examined. 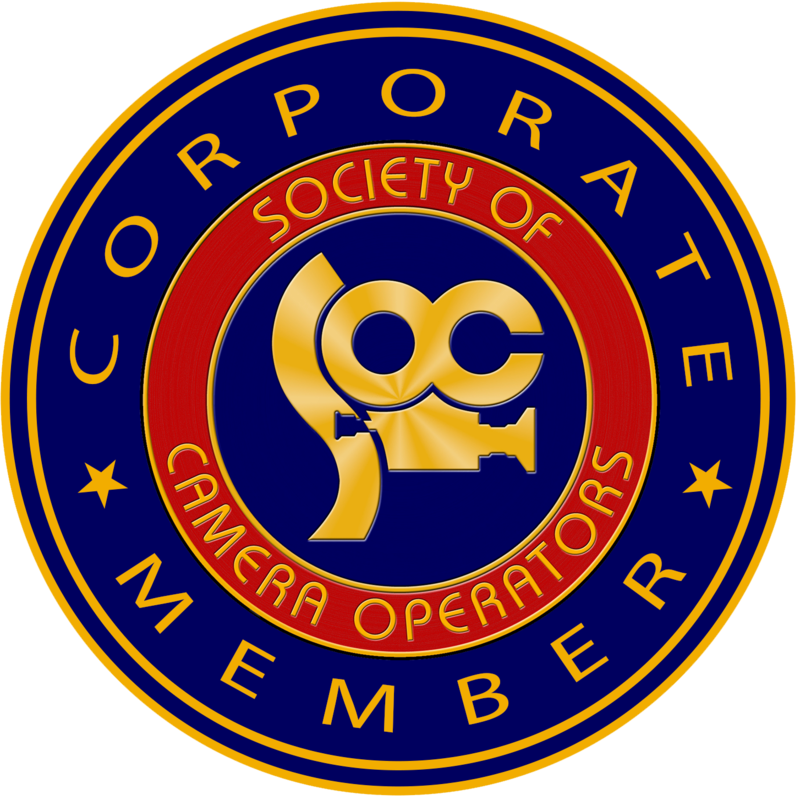 Also able to be used as a 4K color corrector in 4K mode. The FA-1010 has inherited another set of familiar FOR-A color corrector features, Y/PB/PR and RGB clip functions that allow color information to be kept within an optimal range. – Y/PB/PR clip: Adjusts excessively bright or dark color information within a range using white and black clip functions while maintaining white balance. – RGB clip: Adjusts excessively bright or dark color information within a range using white and black clip functions, compensating for unintended color information generated during recording. 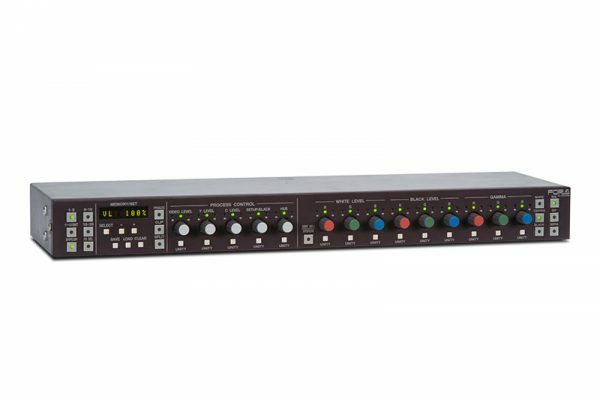 The FA-1010 comes with an SDI input and output selector function, allowing for the input processing path and output terminal to be selected. 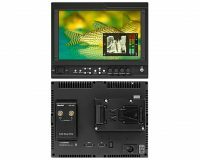 The output unit comes equipped with a clean switch that delivers smooth changeover of both video and audio, free from noise and shock. Switching methods include Direct Mode, which allows direct crosspoint operation, Take Mode for switching multiple crosspoints using a single Take operation, and Salvo Mode, which saves and switches cross point settings all at once. 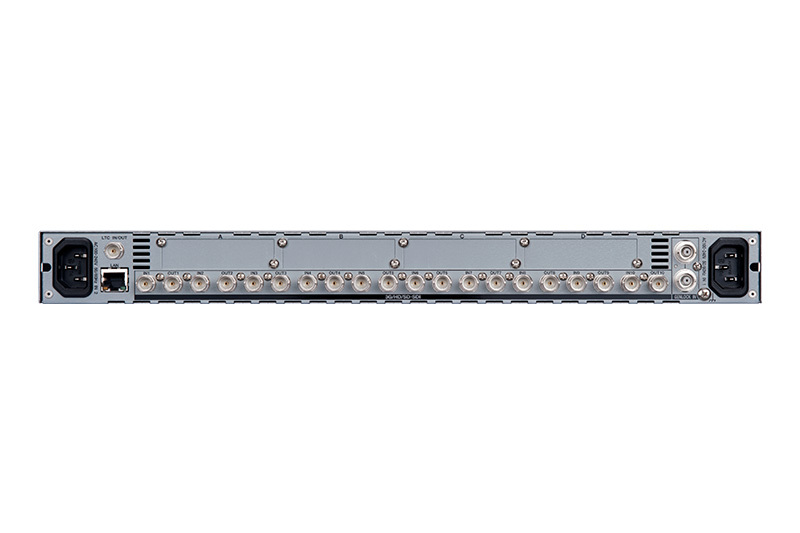 Clean switching allows the FA-1010 to be utilized as a processing-based routing switcher. 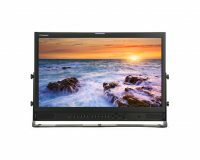 The FA-1010 comes equipped with a frame buffer that stores up to 8 frames. Delay adjustments can be individually applied to each channel. 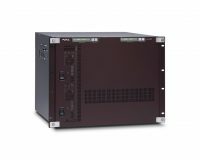 The FA-1010 comes equipped with a bypass function that allows video to bypass processing and be output in case of power failure or an emergency. Ancillary (ANC) signal that is superimposed on video signals are first isolated, then processed separately, from the processing circuits. Whether to have ANC data pass through directly on each channel, or to have the superimposed ANC data re-superimposed or left blank, can be selected. In addition to inserting external LTC time codes, use of the internal time code generator can be selected. For each channel, select whether to Pass or comply with the external or internal TC. The built-in LTC connector can be used not only for external LTC input but also as the external output of the internal TC (selectable). 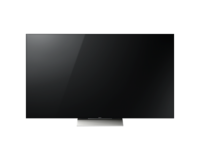 Each channel is able to output a 100%, 75% or SMPTE color bar, or Ramp signal as a test signal. Up to 100 different parameter settings are able to be saved in the internal event memory of the main unit. The settings data can be backed up and restored using a PC. SNMP is supported as standard and can even be used to monitor power supply, fan, and signal alarms. 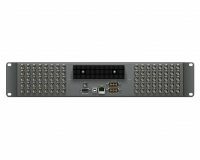 16 channels of embedded audio per line of 3G/HD (synchronous/asynchronous) or SD-SDI* (synchronous) input supports up to 160 channels of powerful audio input processing on all 10 inputs. The FA-1010 provides digital and analog audio I/O as options. An optional expansion card allows A/D and D/A conversion, MUX/DEMUX and remapping, in combination with the embedded audio signal. Gain adjustment available on each audio channel. A Unity button allows values to revert to default at the push of a button. All digital audio channels come equipped with sample rate conversion circuits that allow the system output to be synchronized. Delay adjustment can be set for each audio channel in 1-ms steps, up to 1,000 ms. Collective delay adjustment for each audio grouping is also possible. A Unity button allows values to revert to default at the push of a button. Audio channels to be embedded into video can be freely changed and re-ordered, remapped, across all ten video channels. This function is a useful as a replacement for an optional audio channel or for main- and sub-audio channels. Useful for tasks such as converting from 5.1-channel audio to stereo, this function allows the assigned channel to be changed to any L, R, Center, Ls or Rs channel, the gain to be adjusted, and the down-mix mode selected. A Mono Sum mode also allows a stereo channel pair to be converted to monaural. The polarity of each audio channel can also be reversed, allowing you to correct an audio channel that has unintentionally fallen out of phase. This function allows you to mute the audio for each video channel or optional audio card. This function allows you to output a 500 kHz or 1 kHz reference signal from each video channel or optional audio card, or a reference signal from each audio channel. FA-10AES-UBLC(AES/EBU) – Unbalanced, 1.0 Vp-p, 75?, BNC x 4, 4 pairs of stereo channels, 48 kHz, 16/20/24-bit, FA-10AES-UBL is dedicated to input when FA-10AES-UBLC is equipped.